New advances in technology are making it easier for students to cheat. 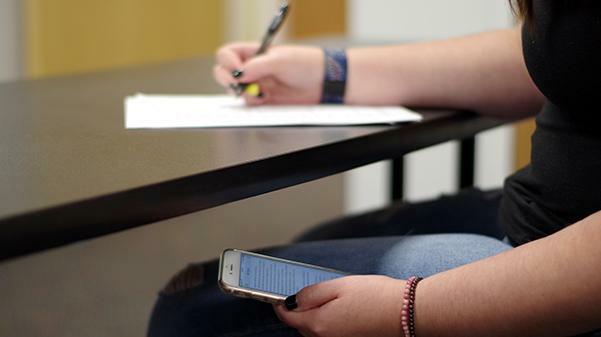 More than 66 percent of Lindenwood students admitted to cheating academically in the past year, and advances in technology are making it easier, administrators say. In an Instagram survey conducted by Lindenlink staff in October, 165 students said they currently cheat or have cheated in the past, while 84 students said they have never cheated. Erin Mann, Lindenwood’s associate provost, said she has reviewed 280 cases of cheating in the past year. Maintaining a good GPA for scholarship and financial aid purposes and keeping sports teams at an All-Academic status are just some of the pressures students face in school, Mann said. A former Lindenwood student, who asked to remain anonymous because he cheated in a history class, said the pressure on “kids to succeed in school is ridiculous,” and that he cheated because he knew he wasn’t going to do well. 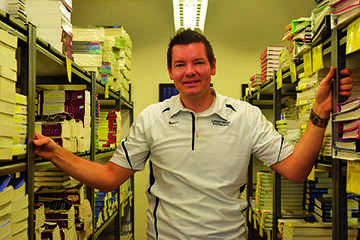 “There’s such a struggle to find a good job these days that students feel like they have to do anything they can to be the best, so they can look better,” he said. In a 2017 national survey conducted by Kessler International, an investigative firm, 54 percent of college students indicated that cheating was OK, and that it was necessary to stay competitive. Ninety-seven percent of those surveyed said they had never been caught. Of cheaters, 72 percent said they had used their cell phone, tablet or computer in class to do it. Complicating matters are sites like Chegg and CourseHero, which offer solution manuals with some textbooks. Because they are available on textbook sites, students often think it’s OK to have them. “You order a book from Chegg for your class, and Chegg’s like ‘Well, why wouldn’t you want the solutions manual to go with it?’ and the student goes ‘If somebody’s selling me the solutions manual, it must be legitimate for me to have it,’ and then they turn in their homework and they’ve got word for word the solutions manual,” Mann said. One current Lindenwood student, who also asked to remain anonymous, said she found some unusual help when she and a friend were taking a U.S. history test in high school. “We had completely forgotten about this test and had no clue what the answers were,” she said. During the test, a different teacher was in the room who did not teach history. When the teacher realized the students were struggling, she started giving them the answers. Since the incident, the student said she hasn’t cheated. Mann said while some students get away with cheating, other times professors want to handle it without getting the university system involved. She said she believes that is “especially true” of adjunct professors, who think reporting a student for academic dishonesty could hurt their ability to be rehired. “‘If I turn in a student for academic dishonesty, that student’s not going to give me a good evaluation, and then I won’t get to work here anymore,’” Mann said. At Lindenwood, undergraduates get three strikes and graduates get two when it comes to cheating. On the first offense, undergraduates have to take an online course that costs $25, and it’s up to the professor to decide what to do about the student’s grade. If a student is expelled for cheating, Mann said no notation saying they were expelled is placed on their Lindenwood transcript. Annie Alameda, president of the faculty council, said whether a student is reported also depends on the situation surrounding the type of cheating. She said sometimes the professor may want to give the student the benefit of the doubt. Cheating has always been an issue; before computers, students could have their roommates write their paper, and there was no way of knowing who wrote it, Alameda said. Now, with websites such as Turnitin, Alameda said a student can’t use a paper from a student — even from another university — because if it already was submitted to the website, the professor would know. Professors also use technologies like webcams and cheat-proof tests. Mann said in addition, students still use a lot of old-school methods to cheat, such as cheat sheets, writing on their hands, putting labels on water bottles and taking advantage of friends. Another Lindenwood student, who also asked to remain anonymous, said when a student he was helping with a 400-level physical chemistry course cheated, it got him in trouble too. The student he was helping took a photo of his work while he was writing on the board. The student said he got a D in the class. Mann said similar things have happened to dozens of students. “It’s a terrible thing to say ‘don’t trust your friends,’ but, don’t let your friends look at your homework,” she said. The most common incident reported to Mann’s office is failure to cite a source. Mann said students understand that they can’t use things word for word but don’t realize that if something is someone else’s idea, they need to cite that, too. Mann also said it’s shocking how many students get caught because they think their professor wouldn’t notice or care. In addition, online learning has drawn attention to academic dishonesty, Alameda said. Canvas, the system Lindenwood uses to track grades and administer online tests and quizzes to students, Mann said, is able to track student activity. When students are taking a quiz on Canvas, the application is able to tell what tabs are open while the quiz or test is in progress. A professor can freeze the screen, set up questions where the student has to manually type in answers because the system knows if it’s the student or copying and pasting, and using ProctorU where a student is live with their professor. Of those surveyed by Kessler, only 12 percent indicated that they would never cheat because of ethics. Freshman Jessica Prowell said she has never cheated, but if she did, she would end up turning herself in because she would feel so guilty about it.